Anti-virus expired? Replace it for free! 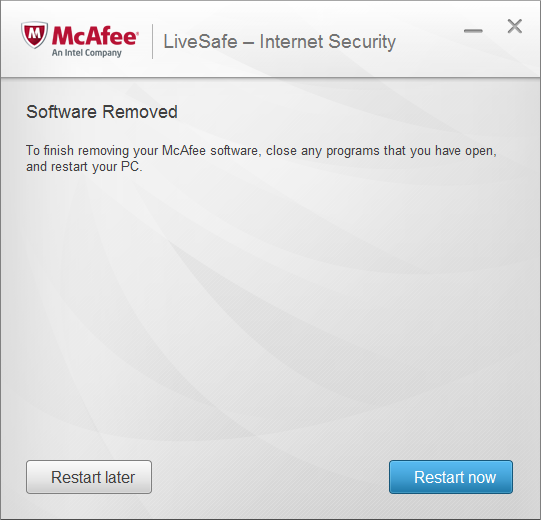 Some time ago I bought a new PC which came pre-installed with the usual bloatware and McAfee Anti-virus. The subscription provided was for whole year, so I left it in place. Yesterday I received this message from them. Knowing that there are perfectly good free versions of AV out there here’s what I did about that. Control Panel – Uninstall a Program. 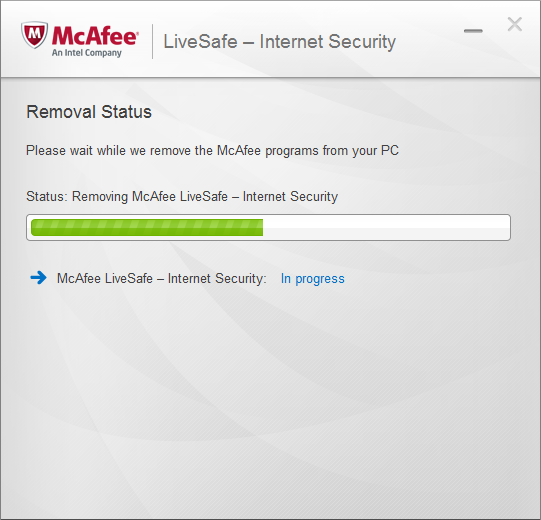 Remove McAfee. Restart your PC after uninstalling. Then choose update and scan to finish the job. After that…no more subscriptions to worry about – you are protected forever! Moving to Windows 8 can be a frustrating experience. People that grew up on earlier versions of Windows are confused by the Metro screen (the tiles that show up when you boot). 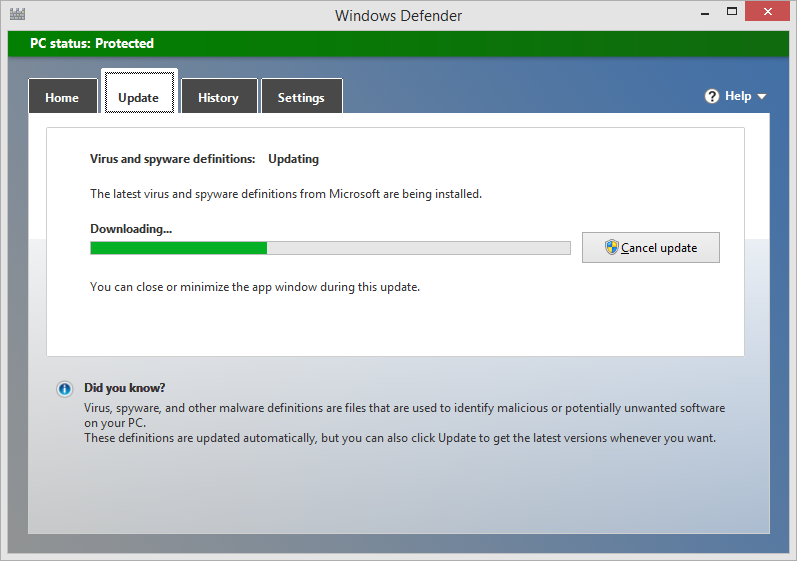 Fortunately there’s a 2 minute fix for that which came with Windows 8.1. From the Windows 8.1 desktop, right-click on the taskbar and choose Properties. 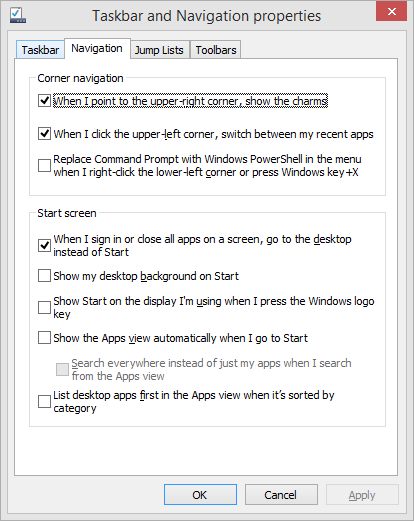 In the Taskbar and Navigation Properties box that opens, click the Navigation tab. From now on you’ll boot directly to the desktop, making the experience feel much more “normal”. You still won’t have a proper start button. If you want that you will have to install a free 3rd party program like Classic Shell. Do that and you can almost forget that you ever upgraded. 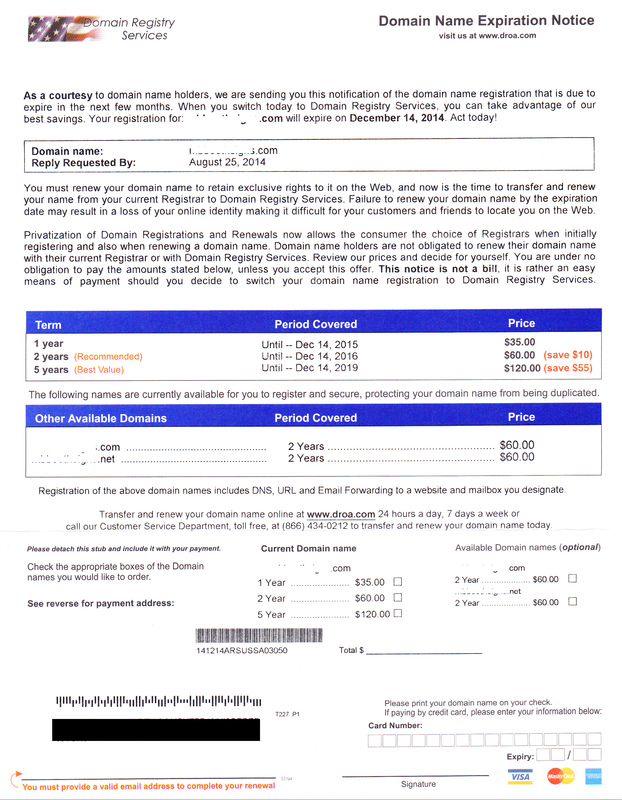 I have no idea what their registration services are like but I can say that they are at least twice as expensive as any reputable domain registrar ($35 for one year when most charge between $10 and $15). I can only assume a company that stoops to such underhanded tactics to win clients would be an absolute nightmare to deal with and any chance of getting a refund has to be slim at best. If you receive one of these notices do yourself a huge favor and file it in the round filing cabinet.